Eley Hawk Grand Prix 30 Grams, 6 Shot. 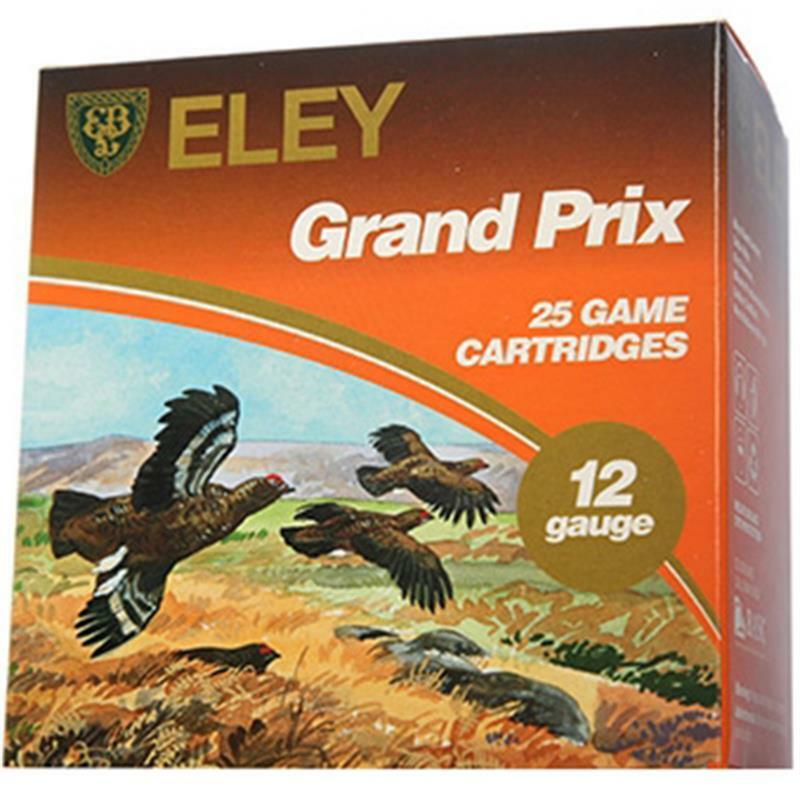 The Grand Prix game cartridges from Eley Hawk are possibly the most recognised cartridge name from Eley Hawk and in fact throughout the cartridge world. Passed from generation to generation, it never fails to deliver outstanding performance notorious through the history, heritage and pedigree of this range. Glorious for pheasant and high birds, the exceptional performance achieved by a fine combination of propellents from MAXAM, in-house made lead shot and fibre wads.